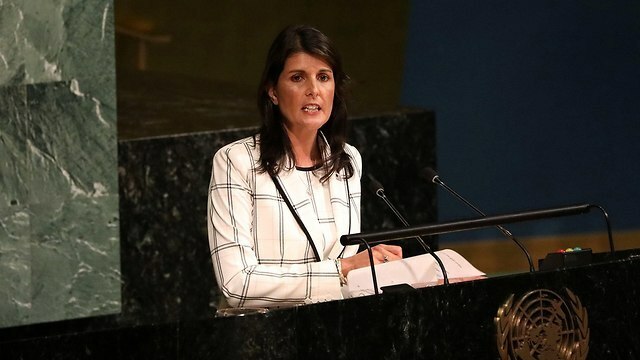 The United States UN Ambassador Nikki Haley reprimanded members of the General Assembly on Wednesday as the body convened to vote on a resolution condemning Israel for violence that has gripped the Gaza border in recent week. 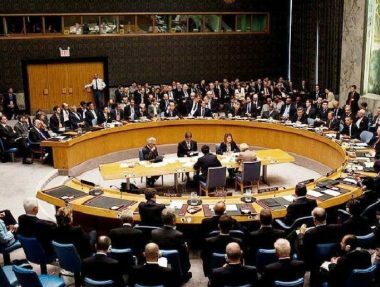 Council, which condemned Israel for using "excessive force" against the Palestinians and called for a UN protection force to defend Gazans. However, it was vetoed by the United States. Washington then presented its own resolution calling on the council to condemn Hamas. The resolution failed to pass, but focused the discussion on Hamas's activities. Haley scorned the members of the General Assembly for attempting to score political points back home by ganging up on Israel, but accused them of only furthering the prospect of peace between Israel and the Palestinians. “Gaza is an important international matter. But what makes it different and more urgent than conflicts in Nicaragua, Iran, Yemen, Burma or many other desperate places? Because we haven’t gathered here to discuss any of these urgent issues. The United States would welcome that,” she said. Algerian Ambassador Sabri Boukadoum, representing Arab nations, first sought to block a vote on a US amendment to condemn Hamas, saying it wasn't relevant to the resolution. He said it also undermined reconciliation efforts between rival Palestinian factions Hamas and Fatah as well as the "remote prospects" of reviving peace negotiations with Israel. His motion to take "no action" on the amendment was defeated by a vote of 59-78 with 26 abstentions, allowing the US amendment to be put to a vote. The US amendment was approved by a 62-58 vote, with 42 abstentions. But General Assembly President Miroslav Lajcak declared that under an assembly rule, a two-thirds majority was needed so the amendment failed. Haley appealed, citing another rule that says only a majority vote was required. After a short break, Lajcak put the US appeal to a vote. The US narrowly lost that vote 66-73 with 26 abstentions. Haley said in a statement afterward that "in the face of Hamas terrorists routinely inciting violence ... today the UN made the morally bankrupt judgment that the recent Gaza violence is all Israel's fault." "But the common practice of turning a blind eye to the UN's anti-Israel bias is changing," she said. "Today, a plurality of 62 countries voted in favor of the US-led effort to address Hamas' responsibility for the disastrous conditions in Gaza." "This was a badge of shame for the UN," Danon said. But "thanks to the combined efforts with our American friends and our allies from around the world, we proved today that the automatic majority against Israel in the UN is not destiny and can be changed." Palestinian Ambassador Riyad Mansour urged the assembly before the vote to address the escalating violence in Gaza and "the crisis" of protecting civilians. He called the US amendment a "bad-faith attempt" to shift the focus away from "the core objective of protecting civilians and upholding international law." After the vote, Prime Minister Benjamin Netanyahu issued a statement thanking US President Donald Trump's support for Israel in the UN. "Israel appreciates the Trump administration’s steadfast support for Israel at the United Nations and Ambassador Haley’s strong statement today exposing the hypocrisy of the UN’s bias against Israel," a statement from the Prime Minster's Office said. "The UN’s incessant focus on Israel not only brings shame to the organization. It also draws attention away from so many other pressing issues that demand the attention of the international community," it continued. "As for Gaza, Hamas is responsible for the terrible situation there and for the loss of life and suffering that has occurred as a result of the violent riots it has instigated over the last few weeks." Rather than improve the lives of the people of Gaza, it added, "Hamas is using the civilian Palestinian population as human shields in its unremitting terror war against Israel." Palestinian Authority President Mahmoud Abbas was also blamed by Netanyahu for making matters in Gaza worse. He "has only made the humanitarian situation in Gaza worse by reducing payments of salaries to Gaza and by refusing to pay for electricity provided to Gaza," the statement charged. "While Israel will continue to defend itself and protect the security of its citizens, Israel will continue to seek ways to improve the humanitarian situation in Gaza. The people of Gaza are not our enemy. Hamas is." Human Rights Watch interviewed nine people who witnessed Israeli forces shooting protesters in Gaza on May 14, the day with the highest toll of deaths and injuries so far when more than 60 people were killed, and another who saw a journalist shot and killed on April 6. Seven of these interviewees not only witnessed people being shot, but were also themselves shot. The shootings happened at places where protests were held near the perimeter fences that separate the Gaza Strip from Israel, including east of Jabalya, Gaza City, Khan Yunis, and Rafah. Their accounts, along with photographs and videos, show a pattern of Israeli forces shooting people who posed no imminent threat to life with live ammunition. Israel should pay adequate compensation in all cases in which its forces unlawfully shot people or killed their family members. Those Human Rights Watch interviewed said most of the shooting incidents they witnessed during the May 14 protests involved Israeli forces shooting people in the legs. But witnesses also described seven additional cases in which Israeli forces shot protesters who posed no imminent threat to life in the upper body, indicating that Israeli soldiers may have intended to kill them. One witness said he was shot in the back at a distance of 200 meters from the fences, with the bullet exiting his chest. Another said he saw a civil defense worker fatally shot in the chest 200 meters from the fences. Another witness said he saw a man in his 50s who was shot in the head when he approached to within 15 meters of the fences while holding a Palestinian flag. Two witnesses said they saw a man who was fatally shot in the head while being evacuated from close to the fences after being shot in the arm. From March 30 to June 8, Palestinians have engaged in weekly demonstrations near the fences between Gaza and Israel to protest against the 11-year closure of Gaza and to commemorate the expulsion and flight of hundreds of thousands of Palestinian refugees when Israel was established in 1948. 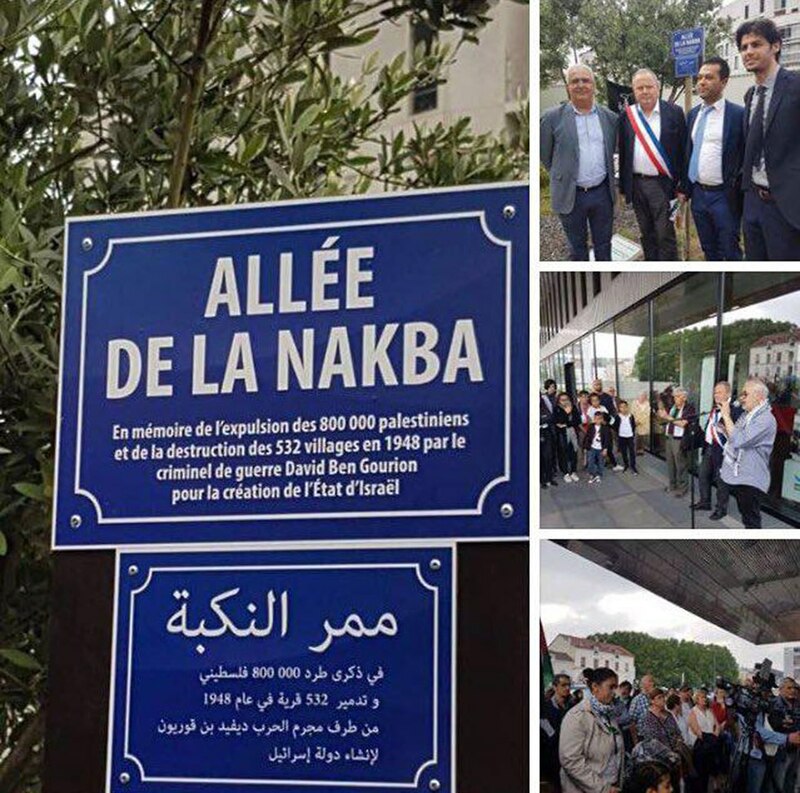 Protests held on May 14 were also against the opening of the US embassy that day in Jerusalem. During the protests in this period, Israeli forces fired on demonstrators and killed 118 people during demonstrations, including 14 children, and wounded 3,895 with live ammunition who required hospitalization. At least 40 have needed to have limbs amputated, and hundreds more suffered severe injuries, medical officials reported. The Israeli closure of Gaza, backed by Egypt, as well as disputes over funding between the Palestinian Authority and Hamas have left medical facilities struggling to operate due to severe lack of electricity and essential drugs, medical disposables, and equipment. Doctors in Gaza have told Physicians for Human Rights–Israel they are powerless [PDF] to provide needed treatment to many wounded patients. Israeli military authorities should reverse their policy of denying medical exit permits for Palestinians who were wounded in the protests. The Palestinian Authority should promptly issue required approvals for patients’ medical treatment. International human rights law standards on the use of force, which apply to law enforcement situations such as the Gaza protests, permit the use of live ammunition only as a last resort to prevent the imminent threat of death or serious injury. Israeli officials explicitly rejected human rights standards and argued that live ammunition was necessary to stop protesters from breaching the fences, because Hamas organized the protests so armed fighters could exploit the breaches to kill or capture soldiers or civilians. The use of live ammunition cannot be justified by automatically deeming every Palestinian who attempts to breach the fences to be an imminent threat to life, and in fact Israeli forces also shot medics, journalists, children, and others who were hundreds of meters away from the fences, Human Rights Watch said. In addition, because Palestinians in Gaza are entitled to protection under the Geneva Conventions as an occupied people, any wilful killing of them would constitute a war crime. In addition to the barbed wire fence separating Gaza and Israel, the two-meter-high fencing with electronic sensors, ditches, and military watchtowers along the Gaza periphery, in 2015 the Israeli military built fences around 12 Israeli communities near Gaza with electronic sensors that detect any contact with the fence and automatically alert the military. This further undercuts the claim that the protesters posed an imminent treat. The International Criminal Court (ICC) prosecutor, Fatou Bensouda, is examining alleged serious crimes committed in Palestine since June 13, 2014, including war crimes and crimes against humanity. On May 22, Palestine submitted a “referral” [PDF] requesting the prosecutor investigate crimes under the ICC’s jurisdiction, including crimes against humanity and the war crimes of willfully killing or willfully “causing great suffering, or serious injury”[PDF] to civilians and the residents of an occupied territory. Crimes against humanity are criminal acts committed on a widespread or systematic basis as part of an “attack on a civilian population,” involving a plan or policy to commit the crime. Such acts include murder, persecution on political grounds, and “other inhumane acts of a similar character intentionally causing great suffering or serious injury to body or to mental or physical health,” according to the Rome Statute. The military did not publish its rules of engagement, but Israel’s state attorney disclosed some information in an April 29 response [PDF] to a petition by Israeli human rights groups against the military’s use of lethal force against demonstrators in Gaza. The government response rejected applying human rights law applicable in law enforcement to the demonstrations, and claimed that only international humanitarian law, applicable in fighting in armed conflicts, applies, because the protests were “organized, coordinated and directed by Hamas, a terrorist organization engaged in armed conflict with Israel.” But even where the laws of armed conflict on targeting do apply, in any case where there is doubt as to a person’s civilian status, they must be presumed to be a civilian and may not be targeted. In its efforts to justify the use of live ammunition to prevent Palestinians from crossing the fences, the government claimed in court to be following an open-fire policy that does not appear to account for the amounts of live ammunition used. The government stated to Israel’s supreme court [PDF] that the orders only permit “accurate shooting towards the legs of a ‘major agitator or instigator’,” after giving verbal warnings and using non-lethal means to disperse demonstrations, “as a last resort only and subject to stringent requirements” of proportionality. The government stated that the orders do not permit live fire against a person because he is near the fences, took part in demonstrations, or supports Hamas. One witness said he was aware of a person who had joined the May 14 protests while carrying a firearm, but apparently did not fire it because members of Hamas warned him that doing so could prompt Israeli soldiers to target the area. Another man said that four members of an armed group had attempted to attack Israeli forces east of Jabalya, by concealing guns until they reached the first fence, where they fired at Israeli forces positioned behind sand mounds about 80 meters away, before being shot fatally. Israeli forces killed at least 17 people in that area on May 14. Israeli concerns that members of armed groups would use the protests as cover to fire at Israeli soldiers or plant explosives near the fences do not justify the repeated use of live ammunition, including with apparent lethal intent, against protesters who posed no imminent lethal threat, Human Rights Watch said. I still hear the voices of people who were screaming after being shot. One man was launching stones with a slingshot, he was just a meter-and-a-half from me when he was shot in the groin. He was bleeding so badly that the paramedics didn’t know how to deal with him, his face color went between yellow and blue. The boy was also close to me when he was shot in his leg. I saw him while he was escaping from the teargas and running away with his back to the fence when they shot him. My face was toward the fence. I was able to see soldiers on hills of sand and those hills were higher [on May 14] than they were on previous protest days. On each of the hills, there were about 10 soldiers. There were guys closer to the fence who were burning tires, chanting for Jerusalem, and throwing stones, but others were shot who were much farther away. The last people I evacuated before I was shot were three women, all in their late 20s, who were shot in the neck or in the head. They had been carrying flags and chanting, they were in a group of women that was about 150 meters from the fence, behind a group of men who were closer than they were to the fence. I evacuated one, and then another got shot, and then the other, over 5 or 10 minutes. One of them died immediately, but I don’t know what happened to the other two. Mohaweya al-Ay, a 20-year-old student from the Tuffah neighborhood of Gaza City, spoke to Human Rights Watch on May 17, after surgery at al-Shifa hospital. He said that he had been helping three civil defense workers evacuate wounded protesters east of Gaza City at 1 p.m. on May 14 when Israeli forces fatally shot one of the civil defense workers, Mousa Abu Hassanein, in the chest. They were about 200 meters from the fences at the time, al-Ay said. A Canadian doctor, Tarek Loubani, told Human Rights Watch that Abu Hassanein had helped rescue him when he was shot in the legs about an hour before Abu Hassanein was killed. The Palestinian rights group Al Mezan reported that four paramedics were shot with live ammunition on May 14. I saw a man was bleeding and walked toward him slowly. My back was toward the fence, no one was around me, throwing stones or anything else. Then a bullet hit my back from the right side and exited through my chest. I was about 200 meters away from the fence. There were no ambulances, they couldn’t come to us because of the shooting. Two civil defense men were near me and pulled me behind a wall [for cover from gunfire], and another guy took my phone and called my family. Human Rights Watch interviewed Abd el-Rahman Abu Qamar, a 14-year-old boy, at his bedside at al-Shifa hospital on May 17. 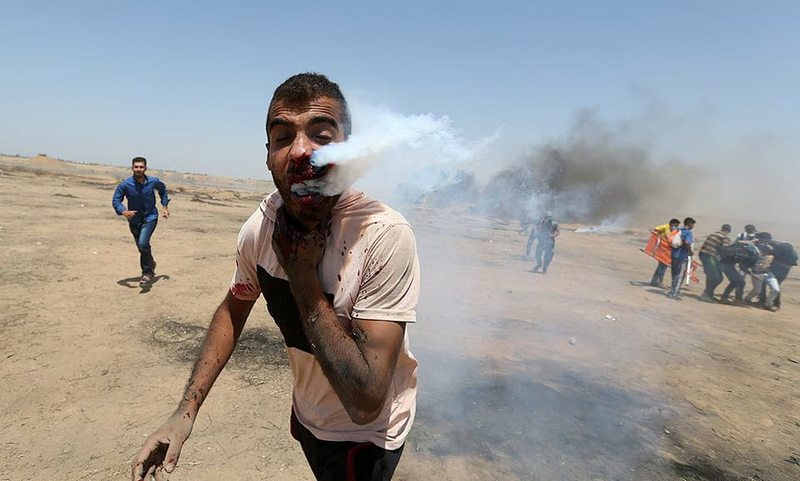 He said he was running away from teargas and shooting and was about 200 meters from the fences east of Gaza City when he was shot in the leg at about 2 p.m. on May 14. His brother, Malek, 18, who went with his brother to the demonstration, said they were in a large group “chanting for Jerusalem.” Malek said Israeli forces fired on the group and he hit the ground to avoid the bullets, and then saw a paramedic and a civil defense worker evacuating Abd el-Rahman. There were about 50 people in front of me, they were the front group of protesters. I was watching them. Suddenly I fell down on the ground, shot in the leg. I was completely peaceful, doing nothing, just there because of the situation [the opening of the US embassy] in Jerusalem. I stood behind the main group assuming that would be safe, but they hit me. Around me there were a few guys throwing stones, and others burning tires, flying kites, and using slingshots. I also saw an old man get shot in his leg, he was 15 meters in front of me toward the fence, but also just standing and watching. Over 300 elected officials, legal scholars, academics, artists, faith leaders, and activists from around the world published an open letter voicing opposition to Israel’s plans to forcibly transfer thousands of Palestinians living in farming-shepherding communities in the occupied West Bank. The letter focuses on Khan al-Ahmar in particular, a community under imminent threat of demolition and forcible transfer. According to B’Tselem human rights center, signatories include 90 members of parliament, many of whom are from the EU and UK Parliaments. Other notable signatories include playwright Eve Enslar, film directors Ken Loach, Amos Gitai, Costa-Gavras and Aki Kaurismäki, artists Marlene Dumas and Ai Weiwei, authors Alice Walker, Assaf Gavron and Iris Leal, choreographer Ohad Naharin, industrial designer Ron Arad, academics Noam Chomsky and Judith Butler, and musicians Peter Gabriel, Roger Waters and the members of Mashrou’ Leila. The Israeli occupation authorities on Saturday evening announced that al-Jalamah crossing, north of the West Bank province of Jenin, will be closed every day at 10 pm. Head of the chamber of commerce in Jenin Ammar Abu Baker said that the Israeli authorities decided to close al-Jalamah crossing at 10 pm every day until 18th June. Abu Baker said that the crossing is usually opened during the last days of Ramadan and Eid days until midnight. Abu Baker refuted the Israeli allegations about facilities provided at the West Bank military crossings with the approach of Eid al-Fitr. 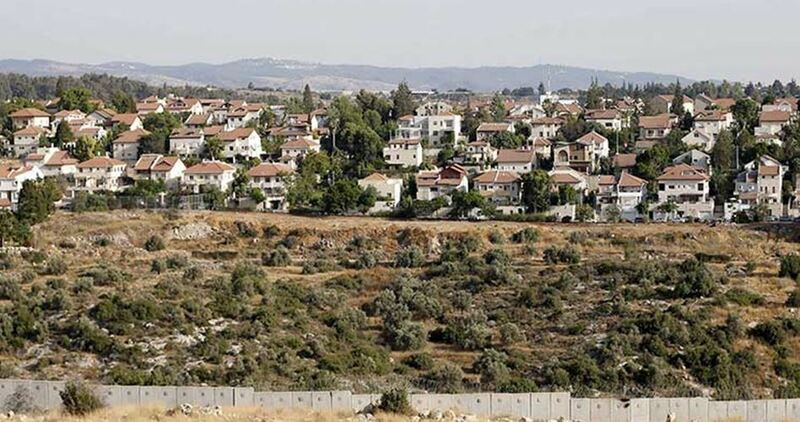 He stressed that this decision, which falls in line with a collective punishment policy pursued against the Palestinian people, would cause heavy economic losses. In another context, the Israeli occupation forces (IOF) Saturday attacked Palestinian Red Crescent Society (PRCS) crews who were trying to provide aid to people injured in a traffic accident near Gush Etzion settlement, south of Bethlehem. 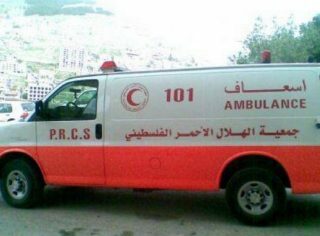 Director of the PRCS emergency department in Bethlehem Mohammed Awad said that the department was informed about a traffic accident near Gush Etzion settlement, and when the ambulance crews rushed to the scene they were prevented by the IOF soldiers from approaching the injured. Awad said that the soldiers assaulted the Palestinian officer Jamal al-Balboul, 51, and pointed a gun at his face. He added that this act violates all international norms which ensure the ambulance crews' access to the injured to provide assistance.